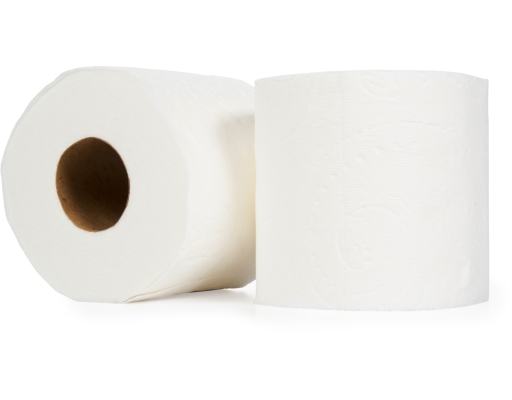 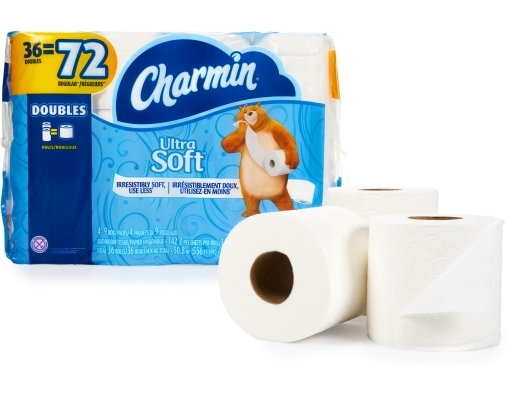 With Charmin Ultra Soft Toilet Paper, use up to 4x less! 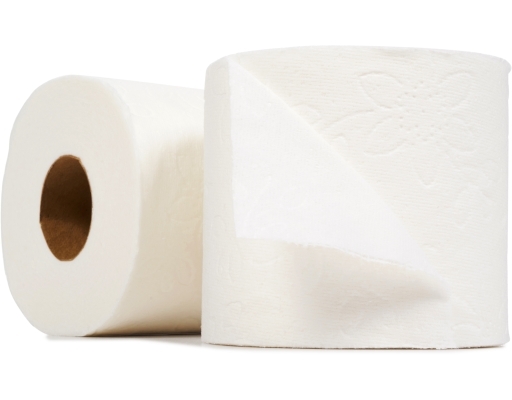 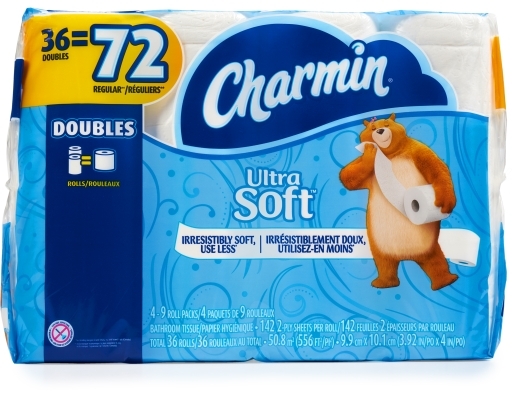 Charmin Ultra Soft is more cushiony soft and absorbent so you can use 4X less than the leading value brand. 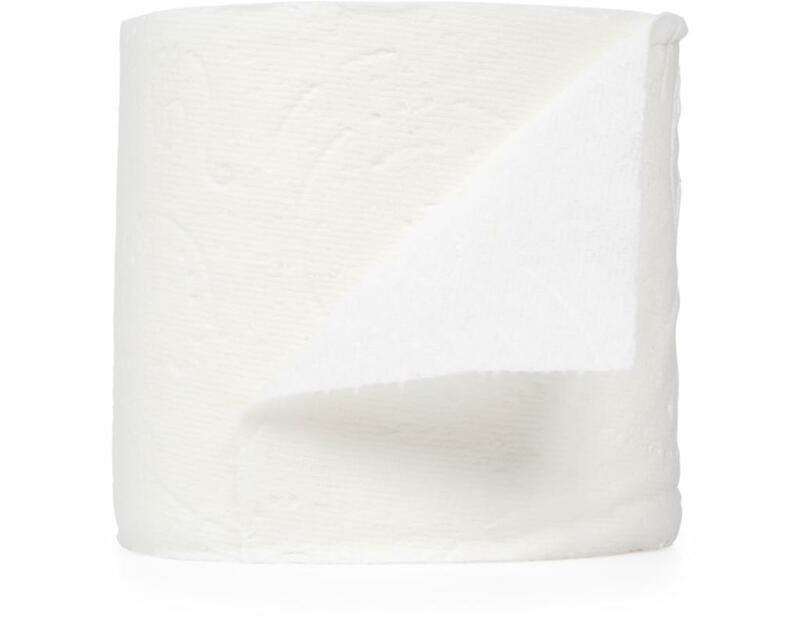 America's softest bath tissue! 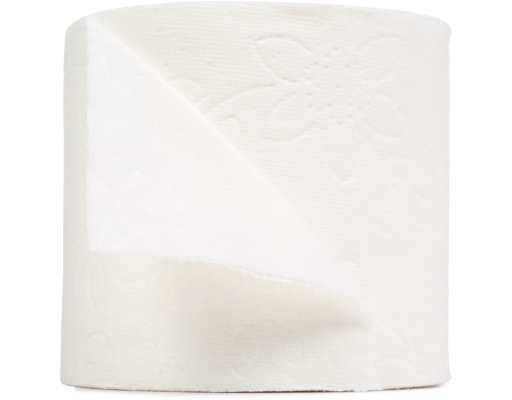 2-ply with more cushiony softness so that using less never felt so good. 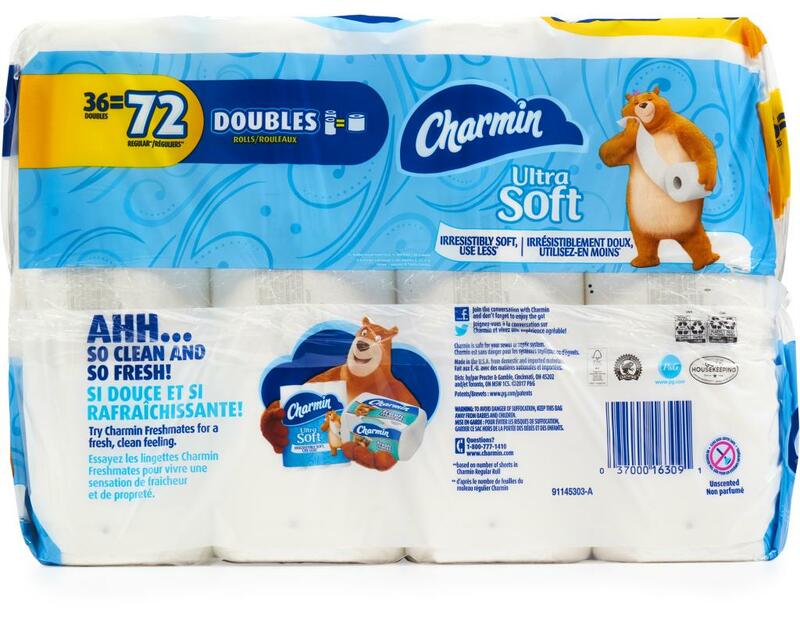 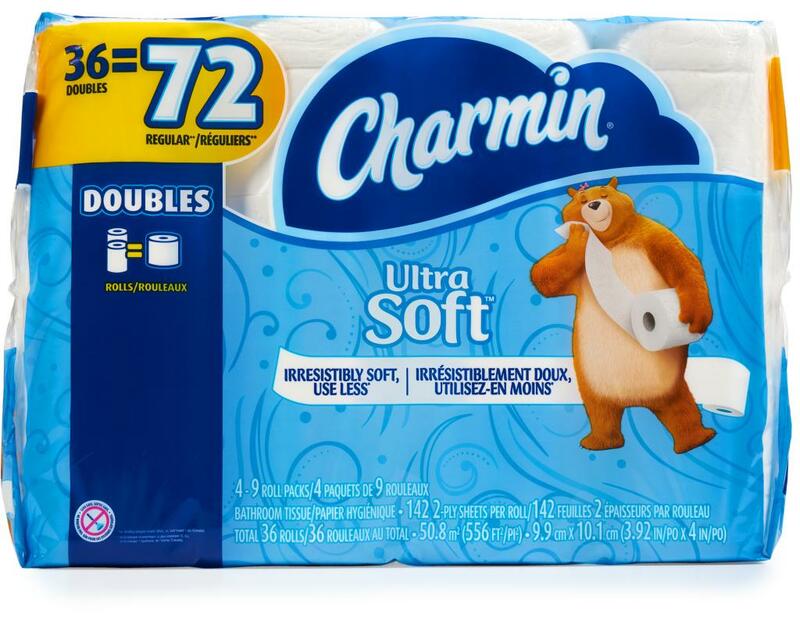 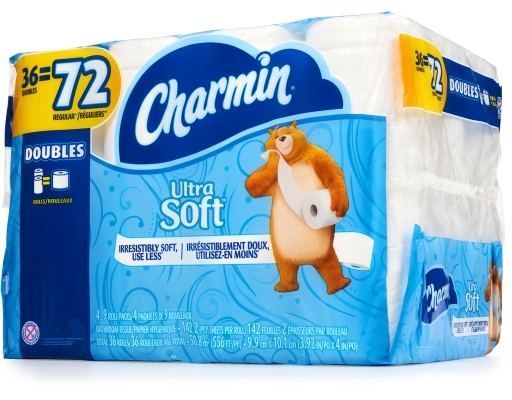 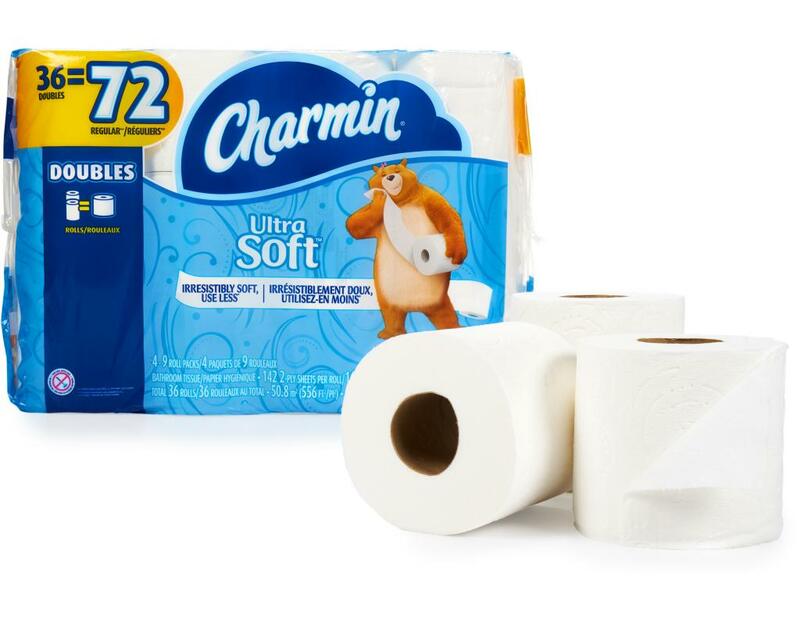 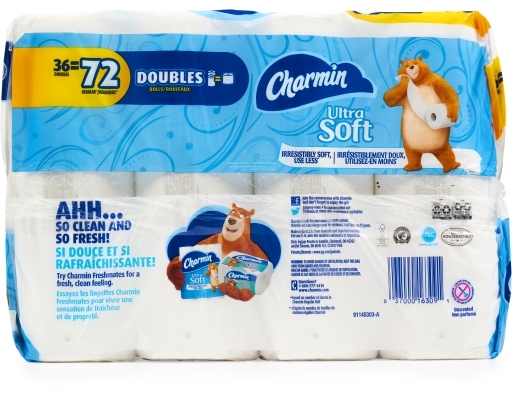 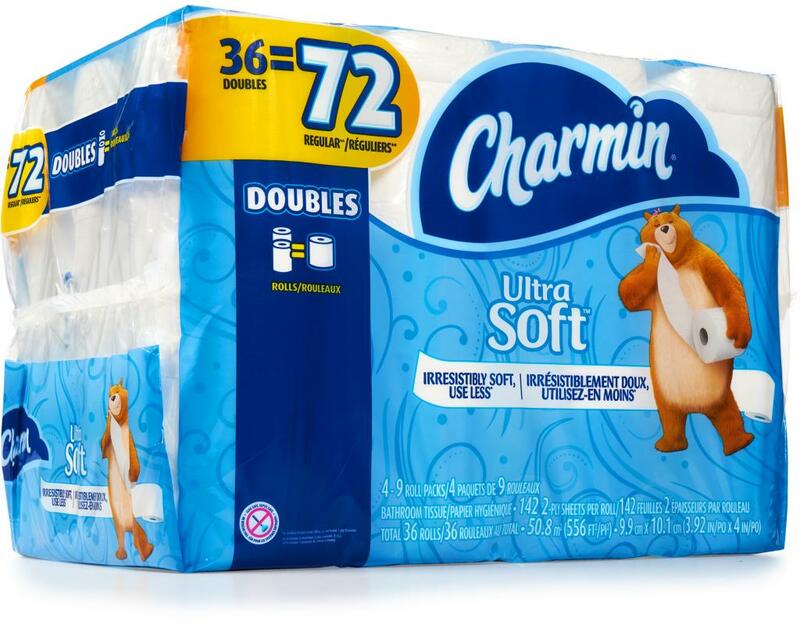 Charmin Ultra Soft Toilet Paper (36 Double Rolls) - using less never felt so good!